Rich Chinese have pleaded with the government of Canada to continue its backlogged ‘investor immigrant program’ and not to eliminate the applications from Chinese people. 10 investor applicants at a news conference delivered their anguished message that they have faith in the government of Canada and believe it is a trustworthy country, with its attractive environment, and a superior rule of law and the welfare system. They requested Canada to reconsider its decision to abolish its immigrant investor program. Last month, Canada declared its intention to do away with the thousands of backlog applications which account for 65,000 people.Out of these, most of the applications are from China and Chinese. 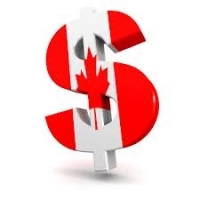 It is a generally known fact that immigrant investors pay less in taxes compared to other immigrants and probably do not stay for a longer duration of time in Canada. Some of the immigrant investor applicants, who had applied five years ago said they were discussing the issue with Canadian lawyers and were seeking advice on wheter they can claim compensation, as they have been waiting for years. Duan Wu Hong, who is Shanghai-based, said that Canada’s social welfare, education system, rule of law and the environment there were attractive factors. And he also added, that the Canadian government is trustworthy, which was a very important factor for them in choosing Canada. She stated that while applying, she also considered the US apart from other countries. But, she stated that applying to Canada was the worst decision in her life, though earlier, she was under the misconception that it was the best. Larry Wang, immigration consultant said that Canadian policy was unfair and he wanted the country to correct its mistake. A Beijing-born Canadian said “we are not refugees and are leading a very good life in China. But, it is just that we would like to lead a better quality of life in Canada.” He also emphasized that though Canada has the right to eliminate its investor program, however, it should not have done away with the current applications and applicants, who have already applied.